TRICARE previously operated three regions in the US: North, South, and West. Beginning January 1, 2018, the three regions are consolidated to two: East and West. Contractors provide health care in each region. Under the consolidation, some contractors are shifting to new regions. States in TRICARE West: Alaska, Arizona, California, Colorado, Hawai’i, Idaho, Iowa, (excluding the Rock Island Arsenal area), Kansas, Minnesota, Missouri (excluding St. Louis area), Montana, Nebraska, Nevada, New Mexico, North Dakota, Oregon, South Dakota, southwest corner of Texas including El Paso, Utah, Washington and Wyoming. States in TRICARE East: Alabama, Arkansas, Connecticut, Delaware, District of Columbia, Florida, Georgia, Illinois, Indiana, Iowa (Rock Island Arsenal area), Kentucky, Louisiana, Maine, Maryland, Massachusetts, Michigan, Mississippi, Missouri (St. Louis area), New Hampshire, New Jersey, New York, North Carolina, Ohio, Oklahoma, Pennsylvania, Rhode Island, South Carolina, Tennessee, Texas (excluding the El Paso area), Vermont, Virginia, West Virginia and Wisconsin. If a family is on TRICARE Prime and their regional contractor changes, their medical providers may change if the current provider doesn’t sign up with the new network. For all other TRICARE plans, families can continue to see the same providers as long as they are TRICARE authorized. The new network provider directories were released in November 2017. 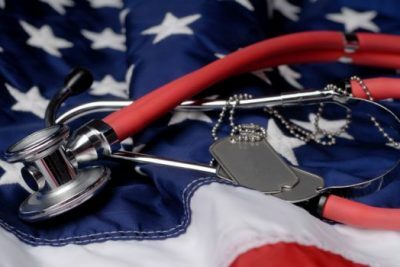 TRICARE Prime (the managed care option) will remain the same; two preferred-provider programs, Standard and Extra, have been merged into a new program, TRICARE Select. Family members who were already TRICARE beneficiaries will automatically be rolled over and enrolled to the appropriate programs on January 1, 2018: Prime beneficiaries will stay with Prime, and Standard and Extra beneficiaries were enrolled into Select. If a family or service member gets their maintenance (regularly-used) medications through TRICARE’s mail order pharmacy, Express Scripts, they must now specifically opt into the auto-refill program within 10 days of being notified that their last refill on a prescription has expired. Families can watch for notifications from Express Scripts to keep getting medications through the Automatic Refill Program, which will come by either a phone message or email.